Area control with a highly advanced attack drone. ABILITY: The attack drone can deploy multiple specialized mines that deplete enemy stamina when triggered. PLAYSTYLE: Use the sapper's mines to create chokepoints and slow down the enemy advancement. ABILITY: The Vanguard's unique Sensor Grenades can be used to highlight all hostiles in a given area for himself and his allies. PLAYSTYLE: Use Sensor Grenades before engaging the enemy or when entering an unsecured area to give your team a major tactical advantage. ABILITY: While aiming, the Long Range Specialist ability automatically charges. At full charge, the next shot negates the effects of sway and bullet drop. PLAYSTYLE: Secure a distant vantage point and patiently use the Long Range Specialist ability to pick off enemy targets with unrivaled precision. ABILITY: The Surgeon can use his special issue MPD-0 stim pistol to revive targeted teammates or restore a set amount of their health. PLAYSTYLE: Stick close to advancing teammates in order to make good use of the stim pistol. 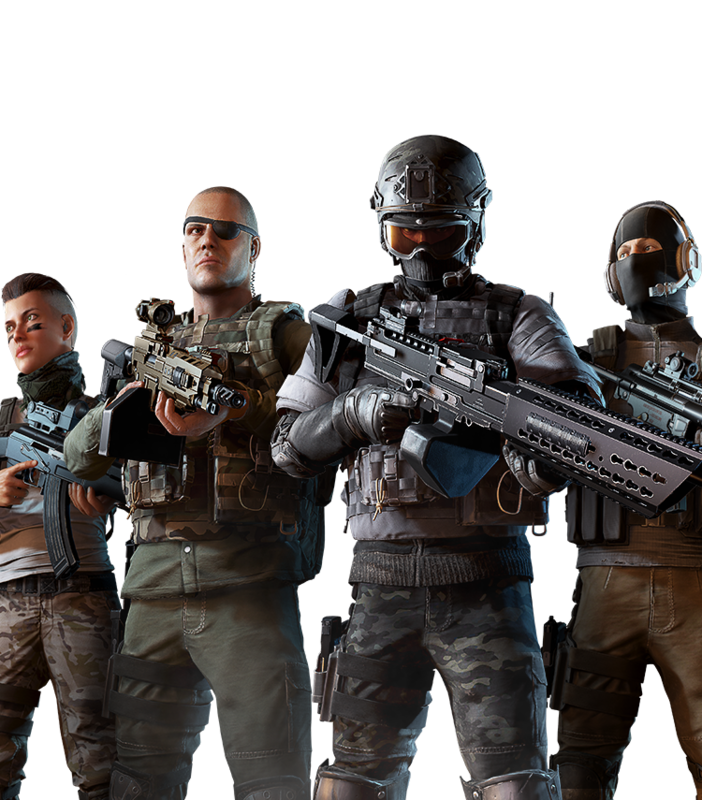 A balanced loadout and good overall survivability will allow you to successfully withstand frontline firefights. Pilots a specialized drone to harass, distract or hurt enemies. ABILITY: The Toxic drone shoots Z8 grenades that spread out deadly gas within a targeted area, which deal damage over time to everyone inside it. PLAYSTYLE: Deploy toxic gas to deny tactical locations such as vantage points and cover spots. The gas seeps through windows and wall cracks, ignoring most obstructions, which makes the ability a powerful tool for flushing enemies out of heavily entrenched positions, otherwise difficult to challenge. Fourth Echelon's operative, specialized in threat detection and elimination. 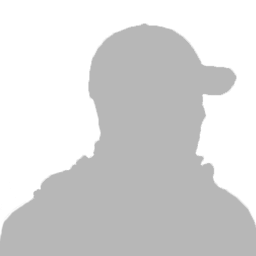 ABILITY: The sonar vision is a toggled ability which highlights players within 50M. While standing still, it periodically sends out sonar pulses which temporarily reveal nearby occluded enemies. Moving will severly reduce the visibility of players and the environment. 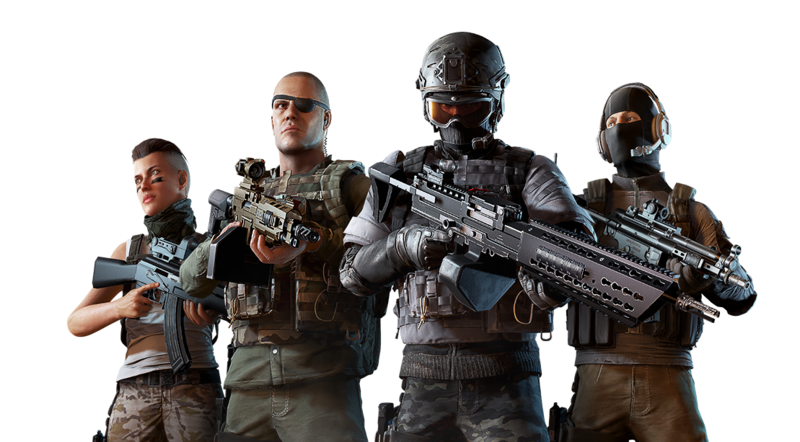 PLAYSTYLE: Use stealth and distraction to move towards the enemy as well as your ability to pinpoint their location. Stay hidden and wait for the perfect moment to attack or set up traps with your wall mines. The Guerrilla uses a drone to create smoke screens for both offensive and defensive tactics. ABILITY: Uses a projectile launcher drone to drop smoke bombs on the target areas. The resulting smoke screen occludes players inside or behind it, preventing marking by aiming, binoculars, or drones. PLAYSTYLE: Create smoke covers to allow the safe revival of friendlies or to cover their movements. Drop the smoke on the enemy location to have them lose sight of your team. The Trapper places remote traps which temporarily knocks-out enemies. Has the location of all downed enemies on screen. ABILITY: Remotely places knock-out gas traps which temporarily stuns the triggered enemy for 2 seconds. Knocked out players are vulnerable to bullets, explosions and suppression. Passively marks all downed enemies on the screen for the entire team. PLAYSTYLE: Use your passive ability to locate downed enemies and defend their location, place your traps to slow down the enemy, while directing your team towards them. The stalker provides long range intel and fire support without alerting enemies. 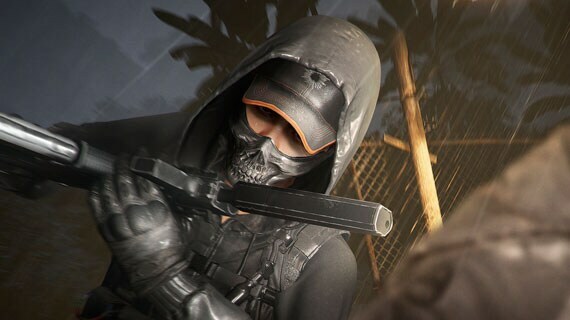 ABILITY: The Stalker’s ability allows their shots to be silent for enemies at long range. The weapon can’t be heard nor can The sound markers be seen by them. Enemies marked by The stalker don’t receive The “marked” notification. PLAYSTYLE: The silenced shots allow for a more aggressive playstyle. Fire at your enemies before they get too close to catch them off guard. 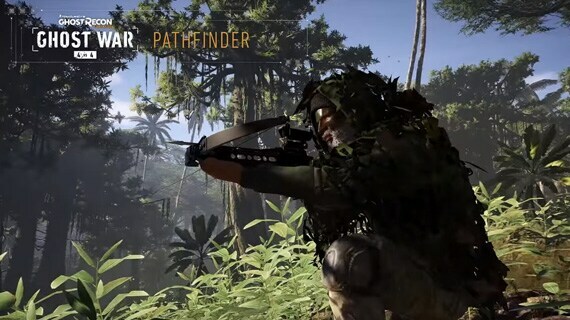 Equipped with a silent firing crossbow, the Pathfinder is both deadly and accurate. ABILITY: The LIGHT STEP ability allows the Pathfinder to evade drone marking and motion detecting gadgets like the scout drone or sitcom. PLAYSTYLE: Light Step allows you to remain undetected. Use it to move around the map and strike the enemy where they least expect it. The Predator focuses on short bursts of high-intensity combat and battlefield support. ABILITY: The BATTLE RAGE ability gives the Predator the effects of Adrenaline Rush for a few moments. This ability does not stack with Adrenaline Rush. PLAYSTYLE: Use Battle Rage before engaging the enemy, or use the increased revive speed to help downed friendlies. Creates chaos and kills opportunities by jamming the enemy team's HUD. ABILITY: The SIGNAL BREAKER ability jams nearby enemies, removing all markers, along with all minimap information and notification from the HUD. PLAYSTYLE: Close in on enemies to get them in the SIGNAL BREAKER's range. Use the resulting chaos to rush the enemy team or cooperate with your teammates to take them down. Resilient and defense-oriented, excels at short to medium range engagements. ABILITY: Instantly REMOVES all active MARKS on TEAMMATES, makes all teammates IMMUNE TO MARKING and BECOMES MARKED. Lasts set amount of time. PLAYSTYLE: Keep track of your team to be able to unmark them when necessary. Avoid large open areas, force enemies into close-range firefights, where the Tank ensures superiority through increased resilience and high-powered LMGs. The Tank's ability removes all marks from allied players and automatically marks him for the duration of the ability. Allies affected by Divert Intel can avoid the effects of other marking abilities or perks. ABILITY: The Enforcer inflicts a much stronger, ADVANCED SUPPRESSION, on enemies. It dazes enemies, making them unable to aim down sights and also slows them down. The ability is PASSIVE and PERMANENT. The Enforcer is a valuable backup for any team. Create superiority in any engagement by using his powerful suppression. Also useful for providing covering fire or pinning down enemies from long range, while teammates advance to pick them off. 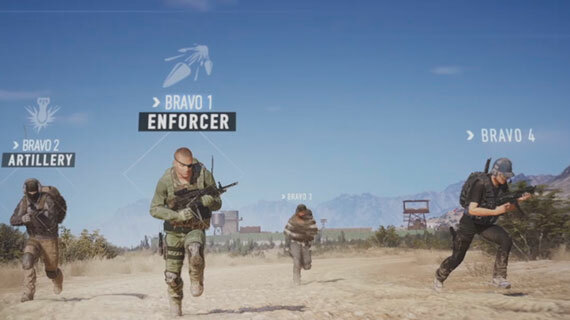 The Enforcer uses a LMG which can apply an Advanced suppression which creates a powerful blur effect, removes the crosshair, disables aiming mode and slows down the affected player. Versatile fighter, can successfully engage in both long and medium-to-short range firefights. 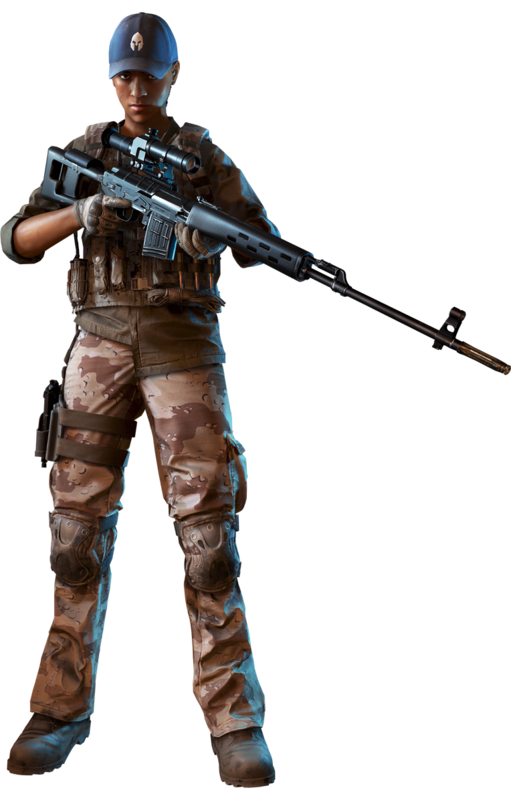 ABILITY: Has access to both a Designated Marksman Rifle and a Submachine Gun. Ability is PASSIVE and PERMANENT. PLAYSTYLE: Jack of all trades, master of none. The Ranger is a multirole class that, while mainly used as a long-range damage dealer, can also act as a "backup" Assault class, depending on how the match evolves. The Ranger starts out with two equipped primary weapons. A DMR and an SMG. Highly mobile stealth class, lethal at close-range engagements. ABILITY: CANNOT BE MARKED if farther away than 50m. PLAYSTYLE: Very effective flanker, excels at countering Marksman classes. The big stamina pool allows the Assassin to skirt around the map and position behind enemy positions, eliminating them at close range. Cannot be marked if farther than 50m from the marking enemy. Enemies will see a special icon above the Assassin's head for a short period of time to indicate she can't be marked. Scout denial, low-powered damage dealer. ABILITY: Places a Jammer which disables any drones or Recon Towers in its range. Only one Jammer can be placed at a time. The Jammer can be destroyed. Proper Jammer positioning is key - deploying it in commonly scouted areas will create a big advantage for your teammates. Make sure to protect the jammer, position it behind cover or inside buildings, making it harder for enemies to destroy it. Places a Jammer which disables all drones and the Intel Crate within a 90m radius. Drones can't use their abilities while inside the area. Only one Jammer can be placed at a time. The ability has a 90 second cooldown. The Jammer has a blinking light and matching sound effect. It can be destroyed by bullets and explosions. The Jammer is planted like a mine. Highly effective recon, serviceable firepower. ABILITY: The Scout Drone will detect enemy movement even through visual occlusion and will display their LAST KNOWN POSITION. The ability works within a LIMITED RANGE, is PASSIVE and PERMANENT. The Scout Drone is the most effective tool for locating enemies, use it to ensure constant map awareness for your team. The Tracker Drone displays LKPs for moving enemies within a set range. These are displayed only on the Scout's HUD. The ability is always active while the drone is up and can detect enemies at a 110m radius around the drone. Team medic, long range revives. ABILITY: The Medic Drone is able to revive a selected teammate within a limited range. 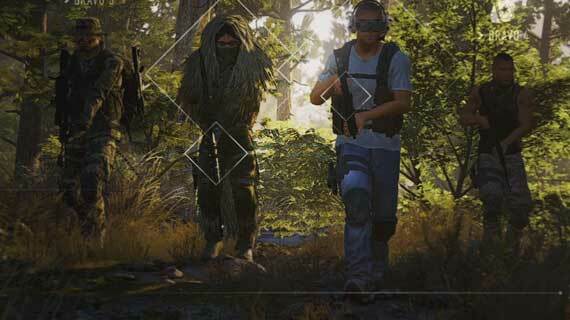 The drone's SELECTION CIRCLE snaps between downed teammates. The drone will revive the selected player. 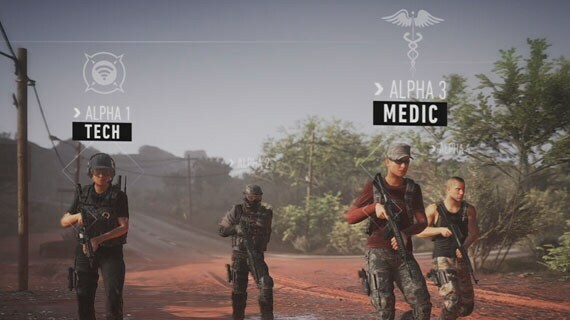 PLAYSTYLE: The only class capable of reviving players from a distance, the Medic provides valuable team support and functions best when avoiding the frontline and reviving teammates from the safety of cover using the Medic Drone. The Medic Drone can revive one teammate from a range of 10m. It is not destroyed after using it's ability. The medic needs to target the downed ally and use the ability on it. Tactical diversion & stealth recon. ABILITY: The Noisemaker Drone emits a gunshot sound, indistinguishable from an enemy player's shooting intel. The drone operates stealthily - deployed undetected by enemies, becomes marked only if approaching an enemy under a critical distance. PLAYSTYLE: Use the Noisemaker Drone's ability to confuse enemies, divert their attention or lure them to a specific location. The drone's stealth capability is also useful for recon. Active Ability: Creates a sound dot around its position; creates bullet burst fire sounds. Passive Ability: it isn't automatically marked when launched; it will be automatically marked after 5 seconds, when within 50m of any enemy; it can't mark enemies. Straightforward frontline fighter, effective damage dealer. ABILITY: IMMUNE to SUPPRESSION and FLASHBANG grenades. The ability is PASSIVE and PERMANENT. PLAYSTYLE: Good at initiating & surviving long firefights. Dart in & out of conflict zones or stay near proper cover to compensate for average survivability. The Pointman's ability negates the effects of Flashbang grenades and of Suppression, even when caused by an Enforcer. 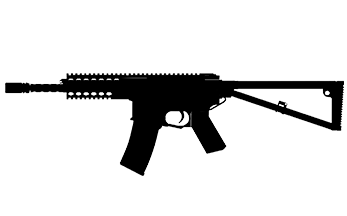 ABILITY: Has access to semi-auto high-powered rifles that have the biggest damage output out of all Marksman classes. The ability is PASSIVE and PERMANENT. 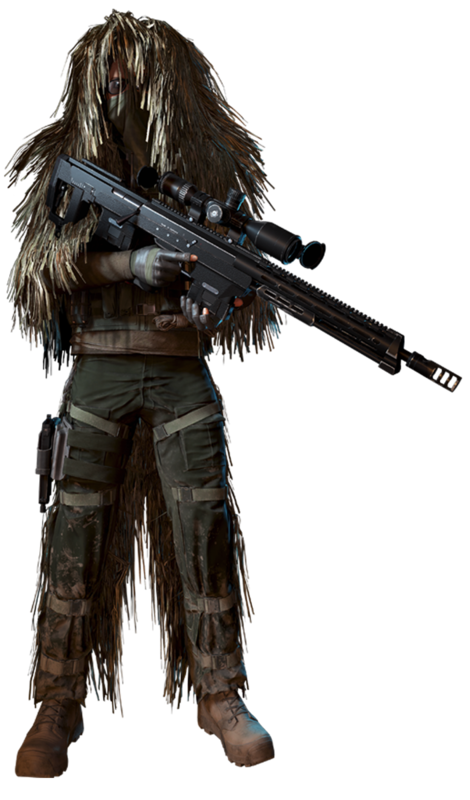 PLAYSTYLE: The Sniper excels at long range engagements. Most effective when positioned at a distant vantage point, from where he can land methodical kills. The Sniper's ability allows him to shoot through walls with no penalty to bullet damage. ABILITY: The Mortar Drone can call in a powerful mortar strike at a targeted area. PLAYSTYLE: The Artillery class' low firepower is compensated by the Mortar Drone's high damage ability. The Mortar Strike is most useful for area denial, clearing enemies from an entrenched position. Deadly for unaware or low-reaction enemies. This drone can target an area for a mortar strike. The mortar strike will hit with 3 bombs on the same area.The mortar strike can be targeted and fired from any distance on the map. ABILITY: Select an area to be TRACKED. The first enemy to walk inside the TRACKED area is MARKED. The area will be tracked until triggered, or a new area is selected. PLAYSTYLE: Place the SATCOM TRACKER in areas where enemies are likely to hide. Alternatively, deploy it in locations where it could guard your flank, or use it offensively to scout out ahead. With this ability activated the player will activate tracking in a 20m radius around the targeted area. When an enemy walks inside the area of effect, the SatCom Tracker is triggered and marks the enemy player.The area will be tracked until 'detonation' or until the SatCom Tracker is moved. Sentinels can only place 2 Trackers at a time. © 2017 Ubisoft Entertainment. All Rights Reserved. Ubisoft, and the Ubisoft logo are trademarks of Ubisoft Entertainment in the US and/or other countries. The “PS” Family logo is a registered trademark and “PS4” is a trademark of Sony Computer Entertainment Inc. Software platform logo (TM and ©) EMA 2006.